Bajaj Customer Care Number of its Bangladesh authorized agency, Uttara Motors Limited. Uttara Motors Limited is the top leading automobile company in Bangladesh. The company Uttara Motors Limited was established by Late Mr. Mukhlesur Rahman in 1972. He was founder and Managing Director of the company which is engaged in the business of different types of automobiles sales and marketing. Currently, the company is the dealer of the Bajaj motorcycles, CNG, Auto-rickshaws along with many other globally renowned brands like Isuzu, Maruti, and Suzuki etc. The company also provides the post sale services, spare parts and other services regarding to the automobile industry. 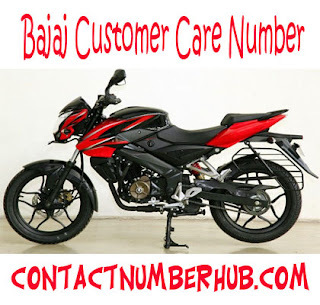 If you are looking for the Bajaj customer care number in Bangladesh, then you will get most of the information that you are searching for. Uttara Motors Limited (UML) provides services to its customers with Uttara Service Ltd., Bajaj Motors Workshop, Service 1 Hour and Mobile Service Van. The products of the UML are including motor bikes, commercial vehicles, auto rickshaw, private vehicles etc. some of the imported brands are AMW India, Force Motors India, Isuzu Motors Japan, Isuzu Motors Thailand, Maruti Suzuki India, Pak Suzuki, Pakistan, SML Isuzu India etc. The leading automobile provider in Bangladesh, Uttara Motors Limited assembles passenger cars and other commercial vehicles. It’s committed to gain complete customer satisfaction with its effective back-up, after sale services and responsibilities. It has maintenance services in the workshops and branches in 15 cities across Bangladesh. Phone Number: +8802 8319447, 01711435382. Zila Parishad Market, B. Baria. Plot no. A-6, A-7, Bogra. Contact # 0421-72710, 64087, and 01711881034.